She thought she was giving her kids less than her best, but their reactions turned her thinking around. 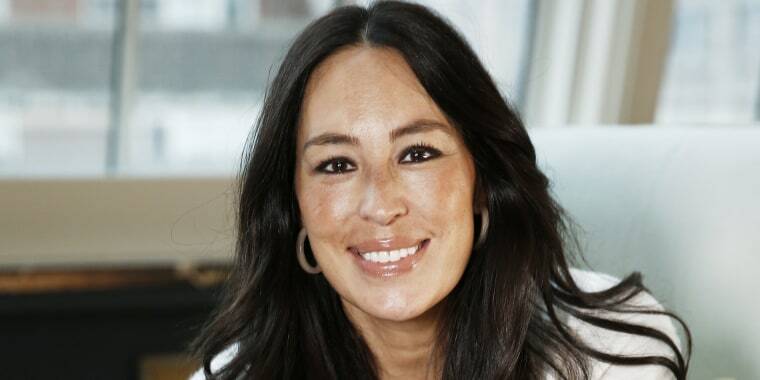 Joanna Gaines is a home-improvement guru, an author and an entrepreneur, and she excels in each part of her career. But in a new interview, the former "Fixer Upper" star revealed that it's her job as a mom to her five kids that she considers "the core of who" she is, and when she feels as though she's not excelling at that — even momentarily — the guilt is hits hard. "(Motherhood is) my top priority," she told TODAY''s own Jenna Bush Hager in a chat for Southern Living magazine. "What I always challenge myself with every day — even if it involves going on an out-of-town trip — is asking myself, 'What can I do to fill these kids up?' The biggest investment that I’ll ever put into life as a woman or as a wife or as a mother is time. That is my greatest investment. That is what I’m carving out and scheduling when I look at my days. It gets hard. I’m juggling meetings, and then I get home and am tired." And it's in those moments that the mom guilt takes hold. "Two weeks ago, I came home exhausted," she recalled. "I’d forgotten about meal planning and had five bags of 30-cent ramen, which I made for dinner." It was a quick fix that left her feeling that she'd let her kids down. But they didn't feel the same way. "My children were in hog heaven," she soon realized. "While I was beating myself up for giving them my second best, they loved it. And I found grace in that moment." Like so many parents, she's her harshest critic. "I’ve been through plenty of stages of guilt," the 40-year-old explained. "It always creeps in. It paralyzes me." But she never wallows in it. "I don’t want to waste a second of emotion on something that doesn’t create any good," she said. "I think, 'What can I do to show my kids that I love them?' Even if it’s making a cup of hot cocoa, which takes a few minutes. It’s about finding little ways to connect." Of course, Gaines has been busier than ever since the arrival of her youngest son — 7-month-old Crew — but rather than increasing the feelings of guilt, she says he's been "a gift" that's left her celebrating "this sweet stage of life." And he's inspired her to celebrate other mothers — and to help them. "I want to be that person who encourages other moms," she said. "I remember those times when I was home and couldn’t even take a shower. When you’re on social media, you need to step back and say, 'My life is going to look different—and it should look different.' Celebrate others doing little things as well as big things, and celebrate yourself by saying, 'This is what I was meant to do.' I really want women to feel encouraged. Know that you are doing enough. Own yourself."